Could Your Car One Day Be Considered Uncrashable? Every year, tens of thousands of people die due to car accidents. Preliminary figures from the National Safety Council estimate that last year 40,000 people died to due injuries from crashes; of those fatalities, 624 of them occurred in Colorado. When it comes to vehicles, the future is now. High-tech concepts developers once dreamed of are now becoming a reality, like self-driving vehicles. Developers and safety officials alike believe this autonomous technology will greatly reduce the number of traffic fatalities. One car manufacturer has gone a step further by developing a vehicle that can not only drive itself, but it may also be able to completely avoid car accidents. A high-tech concept is close to becoming a reality. Each year, the Consumer Technology Association hosts Consumer Electronic Show, or CES, where leading producers and visionaries of high-tech products can introduce their latest innovation. Mercedes-Benz announced at this year’s CES that it’s getting closer to launching one of the most high-tech cars developed to date. Mercedes-Benz initially pitched the idea of an Experimental Safety Vehicle (ESV) back in 2009. The car, known as the ESF 2009 S400 Hybrid, featured things like Pre-Safe crash detection, center seat airbags, and metal bracing (also called inflatable metal structures). These structures were sections of the car that housed airbags, and if the car detected an oncoming crash, the bags would deploy to add protections to the passengers. The idea was a bit mindboggling at the time, but a decade later, Mercedes-Benz believes its idea of a car that can avoid crashes will soon become a reality, with plans to show off its latest vehicle that includes both self-driving technology as well as collision protection. Collision protection creates the ultimate safety for passengers. Every year, tens of thousands of people die due to auto accidents. While the 2018 numbers are not complete, preliminary figures from the National Safety Council estimate that last year 40,000 people died due to injuries from crashes; of those fatalities, 624 of them occurred in Colorado. So, how would an uncrashable car work? It has been well documented by researchers that autonomous technology, or self-driving capability in cars, will greatly reduce traffic deaths. In 2015, a consulting group released a report that analyzed self-driving vehicles and concluded that autonomous vehicles could reduce traffic deaths by 90 percent, a major victory for manufacturers and safety officials. “Uncrashable” technology is yet another step toward reducing traffic deaths. Other car makers are looking into uncrashable tech. Mercedes-Benz is not alone with it comes to high-tech and cars. A few years ago, Volvo announced it was working on a car that could predict a potential accident through its crash-avoidance system. While development is still ongoing, researchers continue to work on the concept of collision avoidance with the hope that it becomes a reality for all car makers. According to the National Highway Traffic Safety Administration, human error is the cause of 94 percent of all vehicle accidents. Reliable collision avoidance technology would greatly diminish traffic accidents and therefore crash-related deaths. 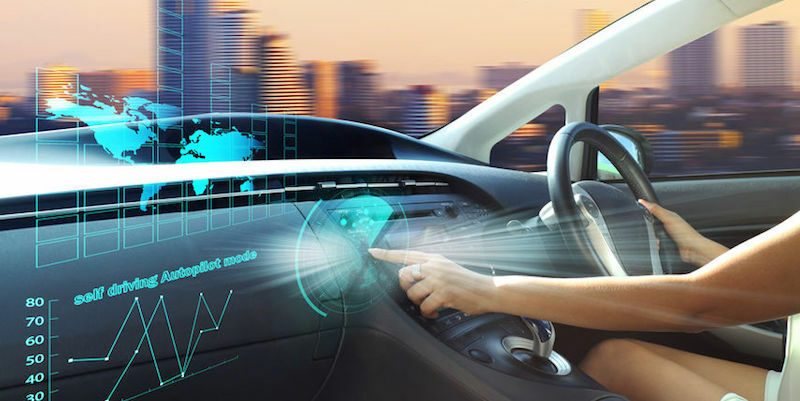 It will be interesting to follow the advancement of this technology as some automakers believe it will be available in some cars in the very near future. Call or click to tell us about your case today. Consultations are always free. I am very satisfied in the manner in which you handled my case and would recommend you to anyone. Our conversations were informing and to the point, and you got things done. What’s My Accident Case Worth? © Copyright 2016 Law Offices of Daniel R. Rosen, PC. All Rights Reserved.